TAIT Ranks 12th Top Work Place in 2018 - Tait & Associates, Inc.
We did it again, thanks to our associates! 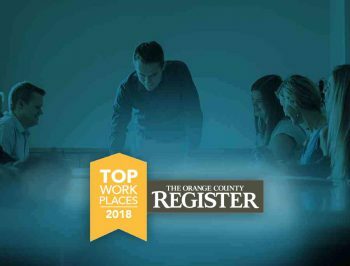 TAIT & Associates ranked an exciting 12th place for a mid-size company in Orange County Register’s Top 140 Workplaces in Orange County for 2018. It’s a big jump up from previous 2016 and 2017 wins, and we are honored to be featured among other top work places throughout the County once again. This is just another step on the ladder of TAIT’s collective effort to always be the best it can be, especially for our team members. Part of that effort is having both big company expertise and small company culture. We thank the OC Register for recognizing TAIT’s continued dedication to our associates.